When you come to our house you will immediately realize we love cats. Besides having five of them running around between the house and yard we also have many cat themed decor items too. 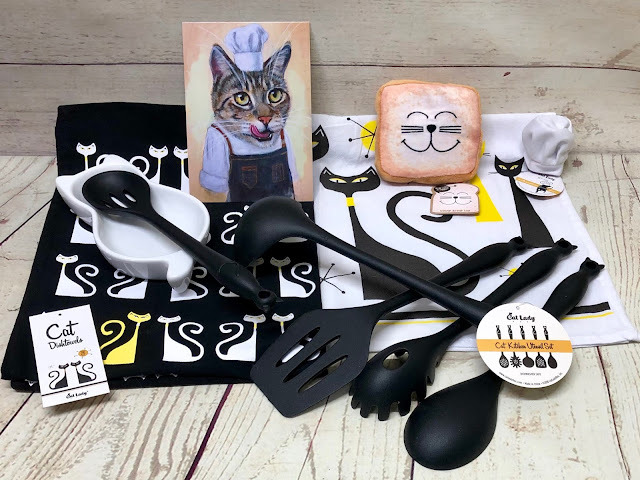 And thanks to CatLadyBox we have some new fun things for the kitchen! The CatLadyBox is a box of..you guessed it…all things cat! Each month you get a box full of cat-themed surprises. Now that’s what I’m talking about! There are two different boxes to choose from; the CatLadyBox or the CRAZY CatLadyBox. What’s the difference you ask? They both come with fun cat-themed gifts for you – the cat lady. The difference is the CRAZY CatLadyBox also has stuff in it not just for you, but also for your cat. And honestly would a Crazy Cat Lady have it any other way? If you receive something you're super in love with you can also shop their past boxes and purchase items individually while supplies last too! I love this section because I can shop for individual items to compliment my box or as individual gifts! Of course another way you'll know you're in my house in the colder months is by the smell of a fresh pot of coffee. I brew at least a pot of coffee every day, sometimes more in my Capresso Coffee Pot. My husband takes a whole pot to work every day so there's one. And my son also takes coffee to work sometimes so that can be two. The thing I really like about this pot is the programming feature. I can set it to brew and be ready to go when he's up and ready for work. It gives him the nice aroma of coffee to wake up to and it's fresh! Plus with it's 12-cup capacity it fills his Thermos just right. Of course if you're a coffee drinker you know a good Stainless Steel Tumbler like this one from Zoku is a must. With this tumbler cold beverages stay that way for up to 24 hours. And hot beverages do not lose steam, maintaining heat for up to 6 hours. It has both a drink-thru opening as well as one you can insert a straw in which I really love for my cold iced tea. Now if you ask me that's something to be excited about! 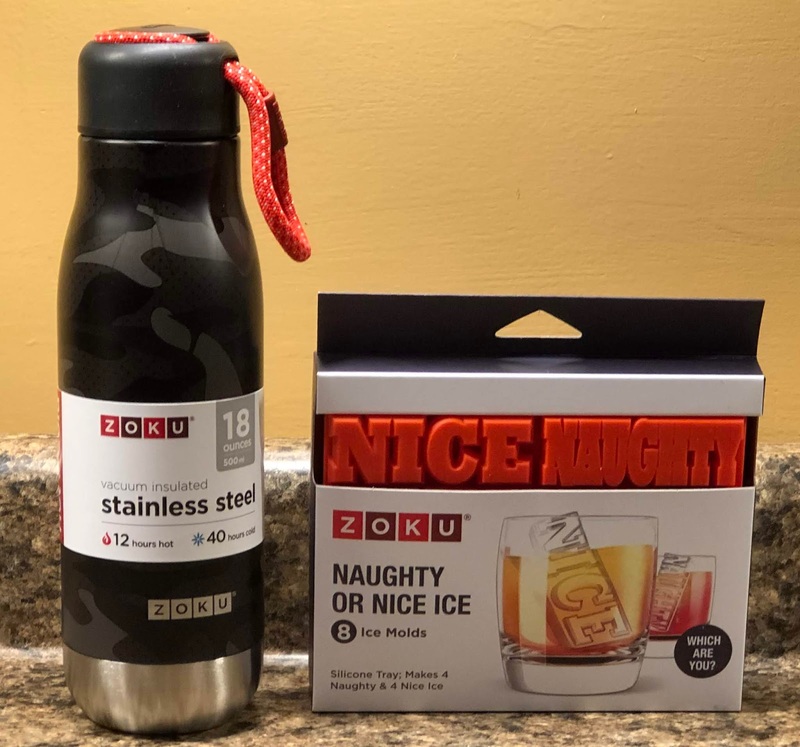 If you're not planning to drink your beverage right away you might prefer the 18oz Stainless Steel bottle from Zoku instead. With vacuum insulated construction, beverages stay cold for up to 40 hours and hot for up to 12 hours. Now that's an even longer time! This bottle would be great to use if you want to take a second drink with you and not worry about it spilling since it has a screw on lid. My son likes to use it to keep in his truck when he's working so it's there when he needs it. He's not as big a coffee drinker as my husband so he doesn't require an entire pot a day. And just for a little added fun these Naughty Or Nice Ice Molds also from Zoku would be a great stocking stuffer for anyone on your list that likes to drink cold beverages. Each mold makes four naughty and four nice ice cubes. Speaking of cold beverages and ice how about using that Naughty or Nice Ice in these super cool looking glasses from Coleman. 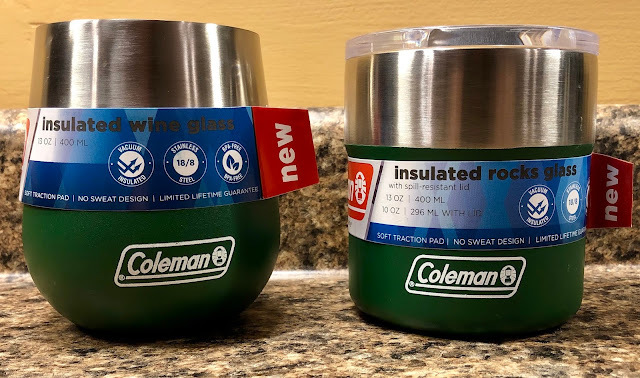 New this year the Claret Insulated Stainless Steel Wine Glass and Sundowner Insulated Stainless Steel Rocks Glass with Slidable Lid from Coleman are sure to be a hit. Both feature padded bottoms for no clanking or slippage when sitting your glass down. The no sweat design keeps your hands dry and your beverages colder alot longer than traditional glasses. Available in the traditional Coleman green or other stunning colors these are sure to be a win with guys and gals alike! If you've never cooked using a ceramic pan I would definitely recommend trying it. 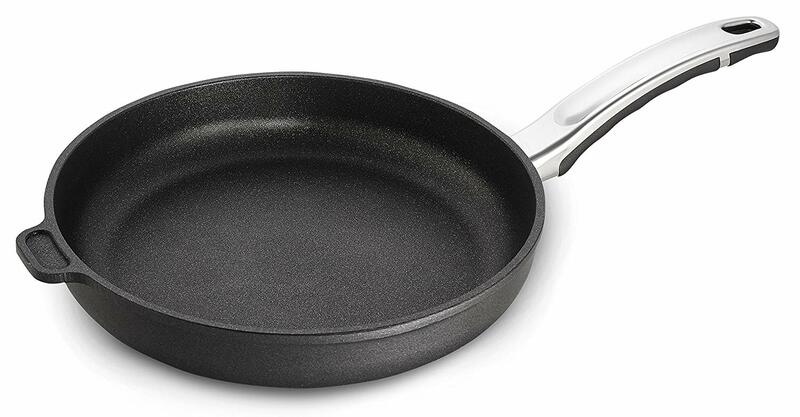 Ceramic pans like this Ceramic Earth Frying Pan from Ozeri utilize a 4-ply ceramic coating that is hardened to perfection for scratch resistance, long-lasting performance and non-stick perfection. Not to mention they are oven safe to 260 C / 500 F, with a comfortable heat-resistant under-coated handle. I've been using this one to cook our eggs in the morning for breakfast and I love that they just slide off onto the plate when finished every time. And I'm not left scraping food off the edges when I'm done either! 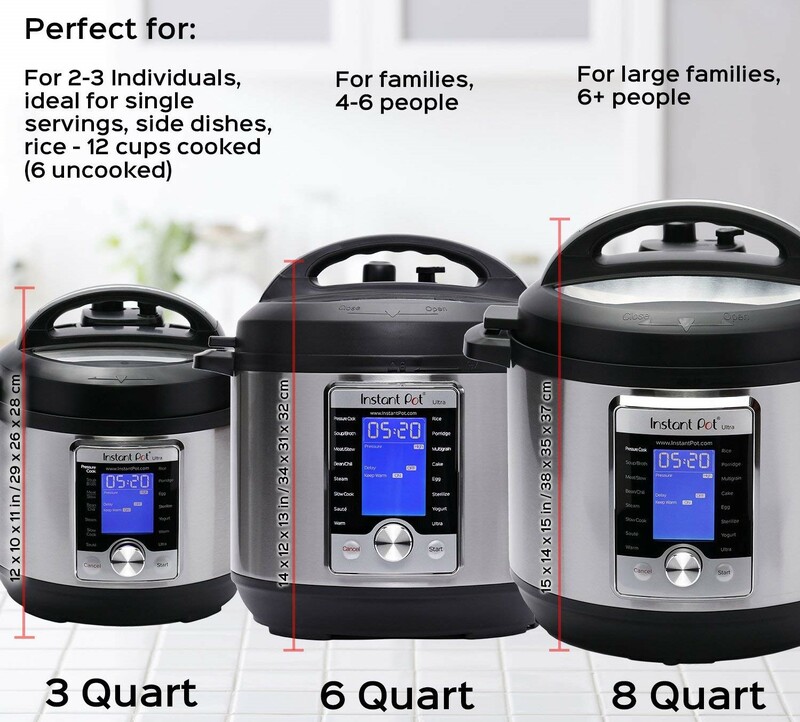 Still a hit for the holidays - the Instant Pot! 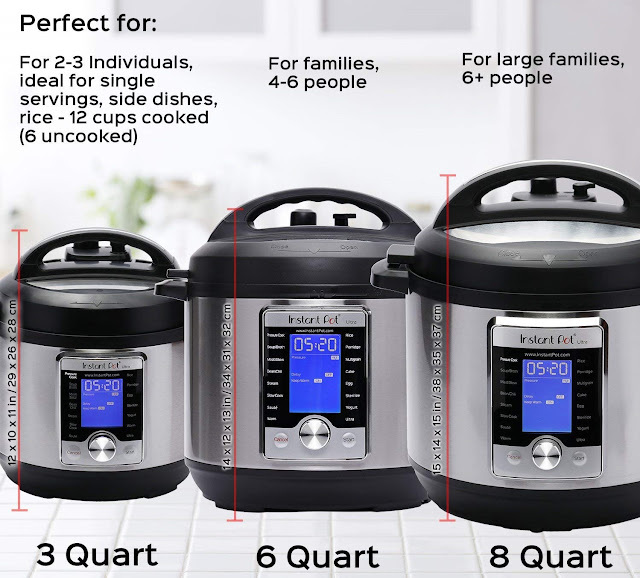 The Instant Pot Ultra 10-in-1 Multi- Use Programmable Pressure Cooker is available in three sizes making it the perfect gift for families of all sizes. If you've not gotten on the Instant Pot bandwagon I hereby invite you to join. It's a great way to quickly and efficiently cook an entire meal in no time at all. Hence the name Instant Pot. Once you've tried one you'll never go back to using your tired ole slow cooker. The Instant Pot really does spoil a person let me tell you. Being able to cook an entire meal in a matter of minutes instead of sometimes hours is a blessing on those busy days. And with Amazon's super fast shipping you still have plenty of time to shop, and send one to everyone on your holiday list! If you're planning to host some guests this holiday season this Slate Serving Board from Frieling would be a great addition. At 11" in diameter it's the perfect size for serving up meat, cheese, and crackers - or other treats for your guests. 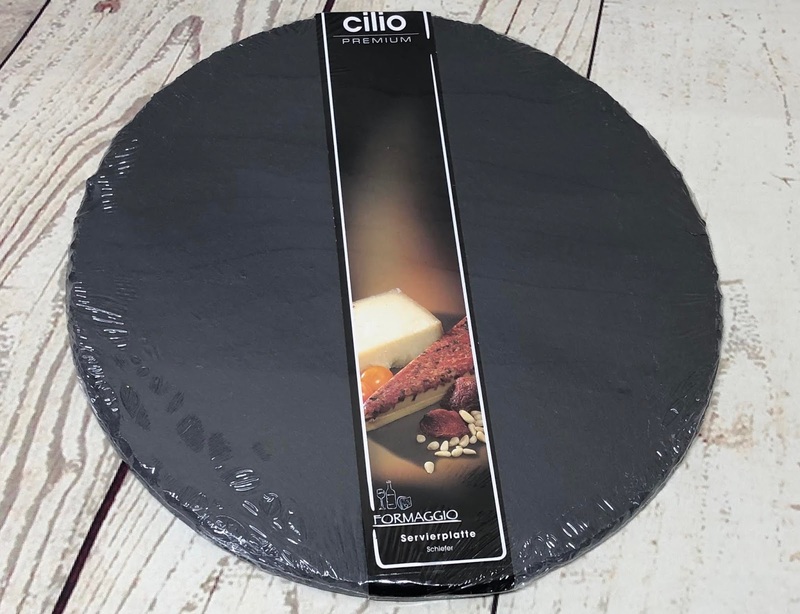 It's made from slate so it's nice and heavy duty, plus it will look better on your counter than an old platter too! The Coffee Cookie is a compact device that keeps to-go coffee hot. If you've ever had your Starbucks get cold before you got to the bottom of the cup than this gift is for you! Basically it's a rechargeable warmer for your to-go cups. You charge up Coffee Cookie at home, then drop it in your purse/pocket/ect. and take it on the go with you. Then when your beverage is at that perfect drinking temperature you attach Coffee Cookie to the bottom of the cup and keep it that temperature until you're all done. Now your last sip can be as refreshing as your first! Since I'm not a big time coffee drinker like the boys I prefer to use my new BruHub from NuWave. 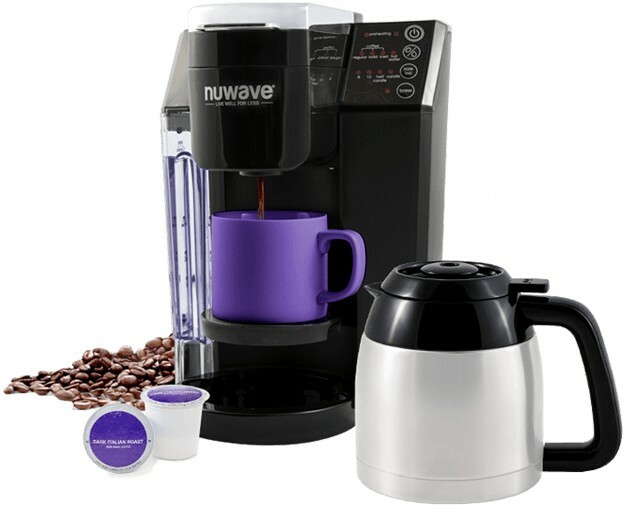 Unlike your typical coffee pot this baby is a 3-in-1 machine. You can use it to brew a half or whole pot of coffee (8 cups), brew 8 or 12oz single cups of coffee (or other flavored beverage K-cups), or just provide you with the perfect temperature of hot water for things like hot tea or cocoa. The part I really like is that it has options for how strong you want your coffee (regular, bold or iced). This is great for me because I enjoy iced coffee and the BruHub knows just how to make it the right strength so it doesn't get watered down after your ice starts to melt. There's nothing worse than watered down iced coffee let me tell you. 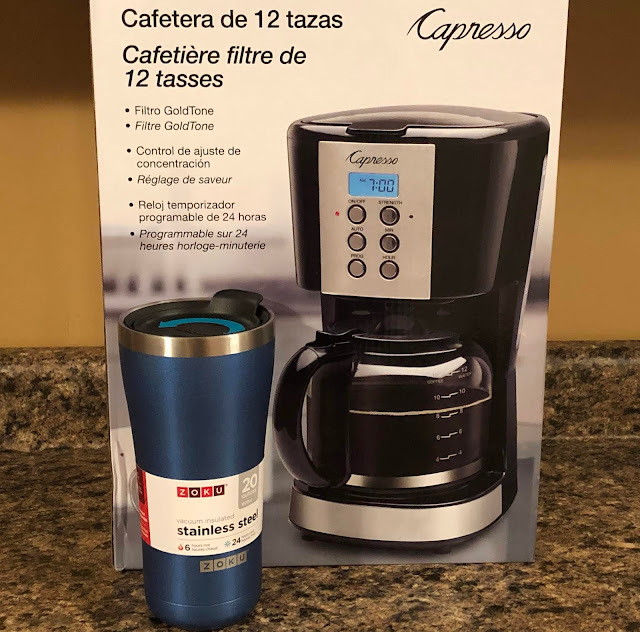 Another nice feature is that it's so simple to use even my daughter that's 12 can use it to make herself a flavored beverage or hot water for her cocoa without any help. I love it so much I make sure it's always filled with plenty of water so it's ready to use all the time. DiamoTech has a line of pans anyone that loves to cook would appreciate. They believe in their product so much they call their pans "The Last Pan You Will Ever Need to Own!". With enforced aluminum for uniform heat distribution their pans can go from stove-top to oven (up to 500°) all while the handle stays cool to the touch. It's scratch and abrasive resistant and features a non-stick ceramic coating infused with Diamotech. The remarkable hardness of Diamonds infused in the ceramic layer forms virtually the strongest, most durable and longer lasting, ultra non-stick cookware surface. And while we are talking about things for the kitchen a new anti-fatigue mat is something any cook will love. SmartCells Anti-fatigue SlimLine mats feature a low profile ⅜" height and a stylish basket weave surface. The optimized design of SmartCells SlimLine mats offer a stable surface over cylindrical cells which become softer under impact and resist bottoming out, this creates the perfect balance for maximum comfort while standing in a kitchen. The SmartCells are spring-like, in that they cushion as weight is applied, then rebound when the weight shifts, which returns energy and reduces fatigue. In addition to the unique cushioning technology, thanks to their rubber-based construction, SmartCells SlimLine mats will not absorb liquid and are easy to clean. I received my mats just before Christmas and immediately switched them out with my old thicker mat (shown at the right corner of the photo). At first I had high doubts these thin mats would be better than my thick cushy mat. But boy was I wrong. They are honestly AMAZING. They don't squish down under your feet like the thicker ones, but you can feel it when you stand on them. I spent countless hours prepping food and doing dishes standing on them and my feet never ached. I am in love! They come in three different colors; gray, light brown, and black. I would personally recommended the gray over the black because even after much use it still looks nice. The black shows dirt very easily and would need to be cleaned often if you wanted it to stay dark black. 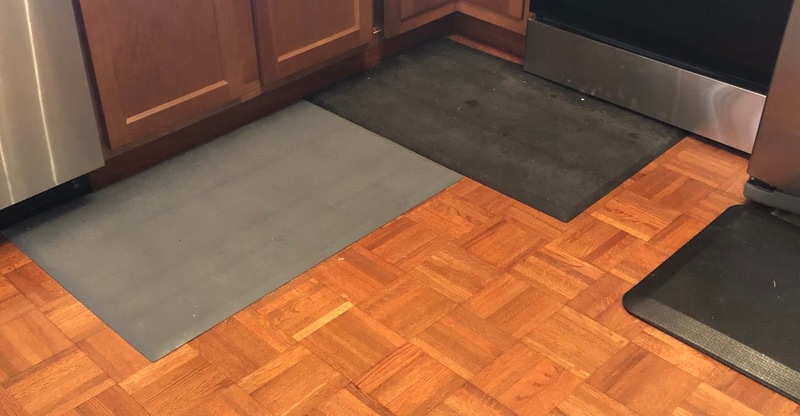 Of course if you don't wear shoes in your kitchen any of the colors would be fine. At my house the guys wear their boots where ever they go so keeping up with their dirt tracking is near impossible unless I mop daily. No matter which you choose you will definitely be happy with this investment! And for those holiday leftovers reach into the cabinet and grab your SmellyProof Storage bags. 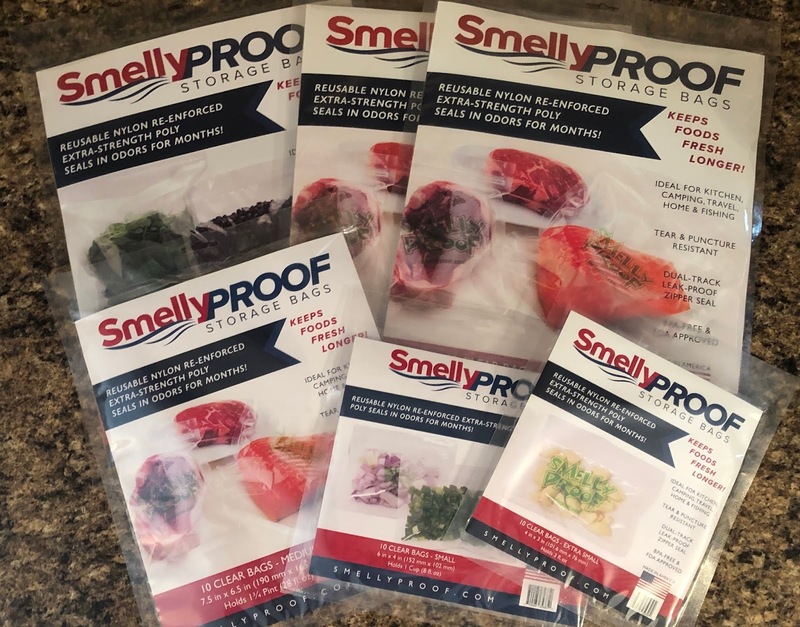 Smelly Proof Storage Bags are designed to create an “ecosystem” that blocks vapors & oxygen from entering or exiting the nylon reinforced FDA Approved Poly. Smelly Proof bags, whether the smallest to largest come with a double-track zipper ensuring the tightest seal possible. Smelly Proof bags also have “tear notches” to be used with most all heat and vacuum sealers for freezing foods safely up to 6 months without freezer burn. Perfect for saving those last slices of holiday ham for enjoying at a later time!